6 years home from the NICU. No re-admittance. Normal development. Time to celebrate with a Twin Boy Party…or as we like to call it a NICUversary! Since the twins birth was traumatic for me, I’m more in the mood to celebrate their homecoming than their actual birth. The twins certainly don’t mind, since they get double the presents each year. This was the first year the boys really had their own ideas about what they wanted their NICUversary to be all about. In the past, I’ve planned a Hungry Caterpillar party, a Dr. Seuss Thing 1 and Thing 2 party, a Superman Party, and a Zoo-themed party. So, what do you do when you have two 6-year-olds with very different opinions on how they want to celebrate? You just go with it! 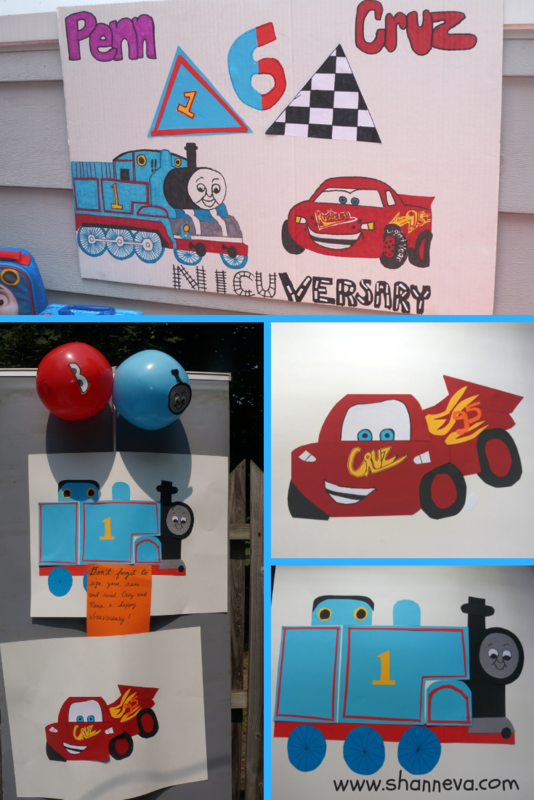 I combined Mr. P’s love of trains with Mr. C’s love of cars for a twin boy party to remember. These ideas are not specific for twins, but can be used for anyone that loves both trains and cars. In case you don’t have little boys of your own, the most loved and played with toys in our house are cars and trains. For trains, it’s all about Thomas the Train. He’s that little blue engine with tons of friends and a catchy theme song. 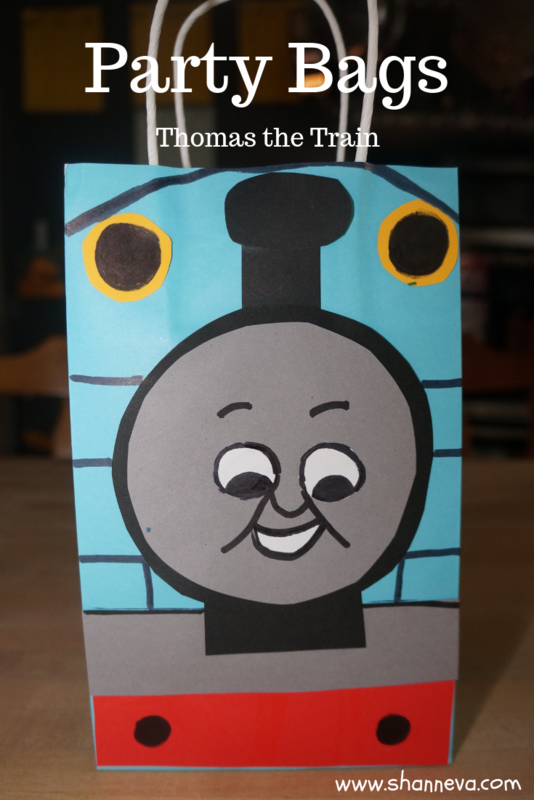 There are Thomas shows, toys, clothing, bedding, etc. You want it, they make it. Our house is filled with motorized trains, plastic tracks, wooden trains, and wooden tracks. Then, there are the cars. Sure, Matchbox or Hot Wheels are OK. The real deal is Lightning McQueen and his crew. 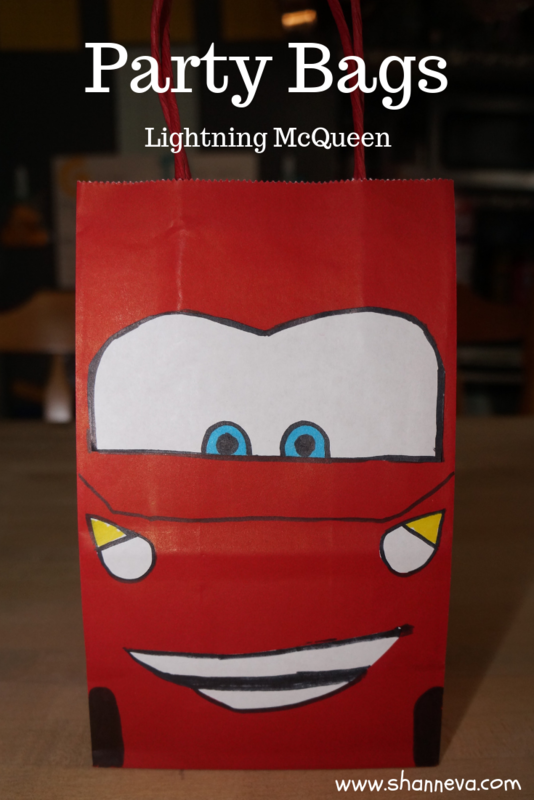 With three big-screen movies made by Disney, you can imagine the amount of Cars products available just about everywhere. 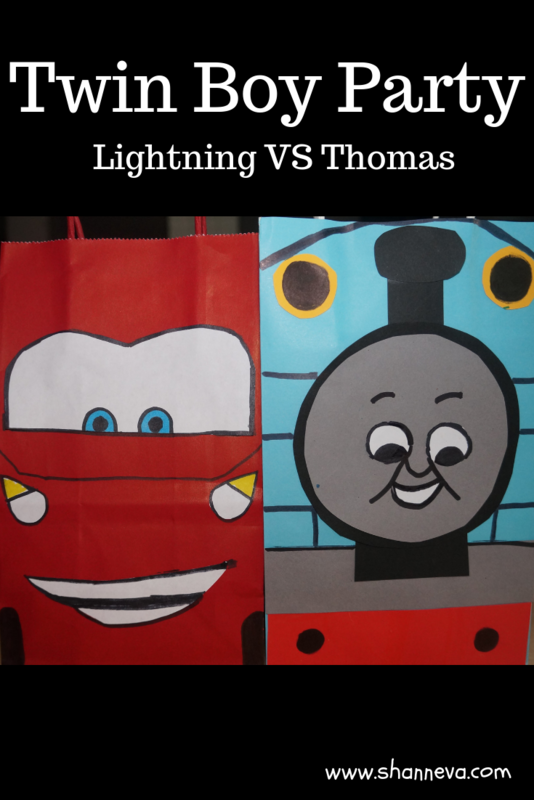 So, with no shortage of both Thomas and Lightning products already in our house to decorate our backyard, I got to work on some of my own creations for the finishing touches. I found both red and blue beach balls, and used sticky foam paper to make faces on them. Balloons make me too nervous at kids’ parties. I then decorated each party hat with the guests’ names in stickers. I also made a few signs. One had the Thomas theme song, with a few changes, and the other was just traffic signs. There were some adorable mini inflatable tires, and we set up traffic cones to direct people to the party. I didn’t manage to get pictures, but I’ve included my Amazon affiliate links, so you can get the idea. Simply click-through the pictures, and you’ll be taken to the product. There is no additional cost to you, and I may make a small commission if you make a purchase. I also made a sign with each boys’ name for behind the food table. While some may think it’s too much work, I can’t let a party go by without making some of my own craft/art projects. It’s something I enjoy doing, and I think it makes the party a little more personal. We used the individual pictures that I made as autograph boards that the boys can keep as memories from the party. While not everyone enjoys getting/giving gift bags at parties, I think all kids enjoy them. I try to get a few nice or useful things that don’t just go right into the trash after the party. In the past, I’ve also made the actual bags useful or reusable. One year I used sand buckets, and another year I used canvas tote bags. This year, I just used small paper bags that I then decorated. This years’ bag included crayons, sunglasses, and a car. The signature event at every birthday or NICUversary at our house is the breaking of the pinata. This year, we went with a string pinata, so we didn’t have to worry about anyone getting hit with a large stick. 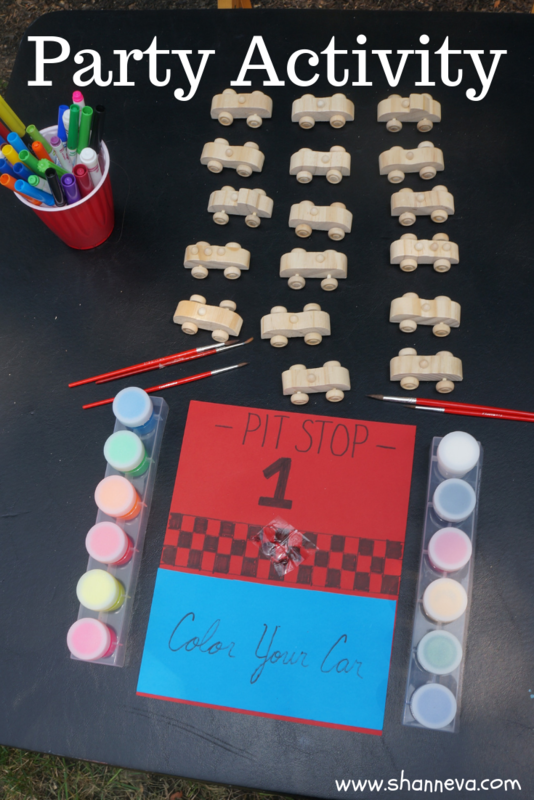 We also had a “make your own race car” station, followed by some races down a homemade ramp. 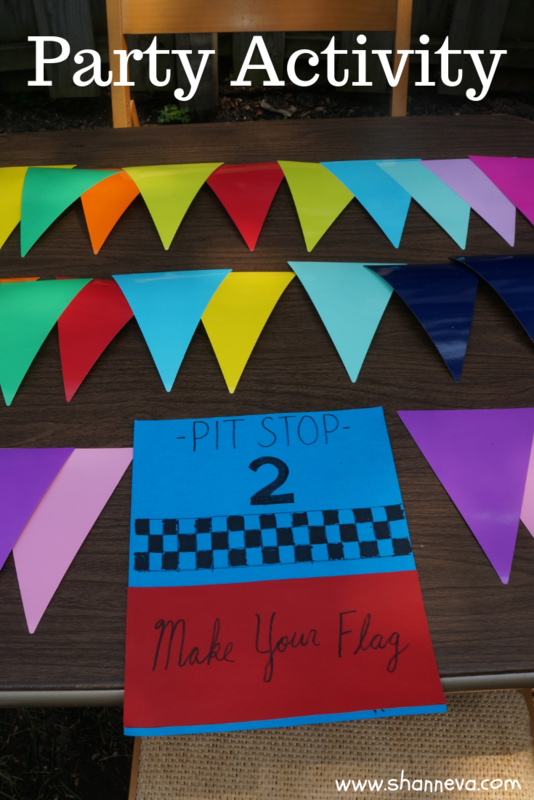 In addition to painting or coloring their own car with markers, they also decorated their own flags to cheer on the cars. Keeping kids busy and entertained at a party is hard work, but so worth it. Less time to find trouble or make a mess! We keep food simple at all of our parties. Pizza, veggie tray, cheese/sausage tray, chips/salsa/hummus, and drinks. In the past I’ve got creative with naming our food or making food like out theme, but not this year. Lazy? Maybe. Less stress? Definitely. Plus, there was cake. That’s really all the kids care about anyways. We saved gifts for after the guest left. It gives the boys something to look forward to once the fun of the party is over. Overall, the twins had a great time, I was able to celebrate them without being sad, and since we had beautiful weather and had the party in the backyard, clean-up was easy. 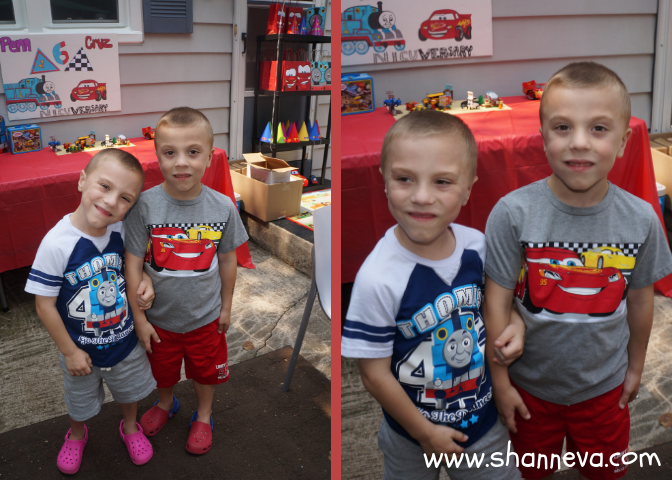 A twin boy party success! 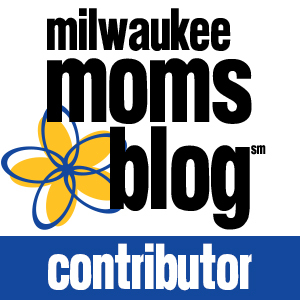 So, tell me….do you do a themed party for your kids? 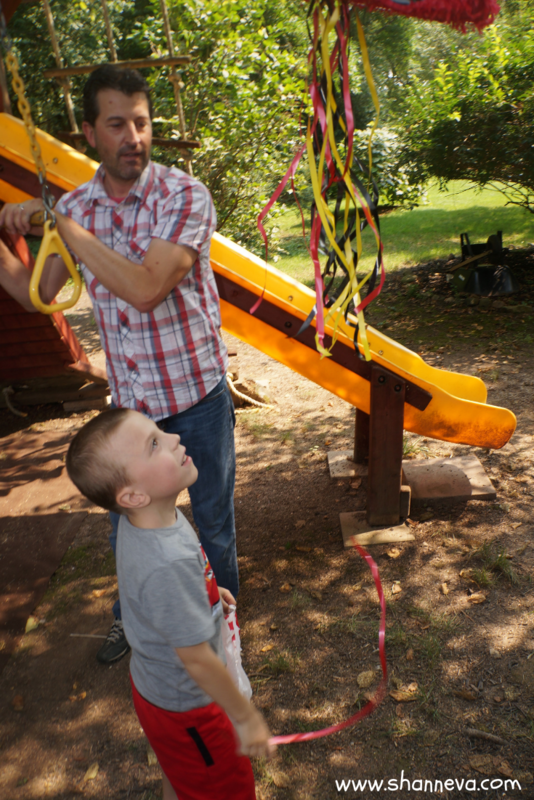 Have you ever had a combined birthday party for more than one child? Ollie would have LOVED this party! Thomas and Cars are all the rage at our house too. It’s funny, he seemed to be kind of growing out of Thomas a bit but in the last month has been obsessed again. You did a great job on the decorations and the party favors! So much fun! What a celebration!! I love how you made it a double feature with both cars and trains! Looks like everyone had a blast! You did such a great job with this party! I had a double party for my two daughters (they are 3.5 years apart) and it was awful trying to get them to agree to one theme. I never even thought to combine them! 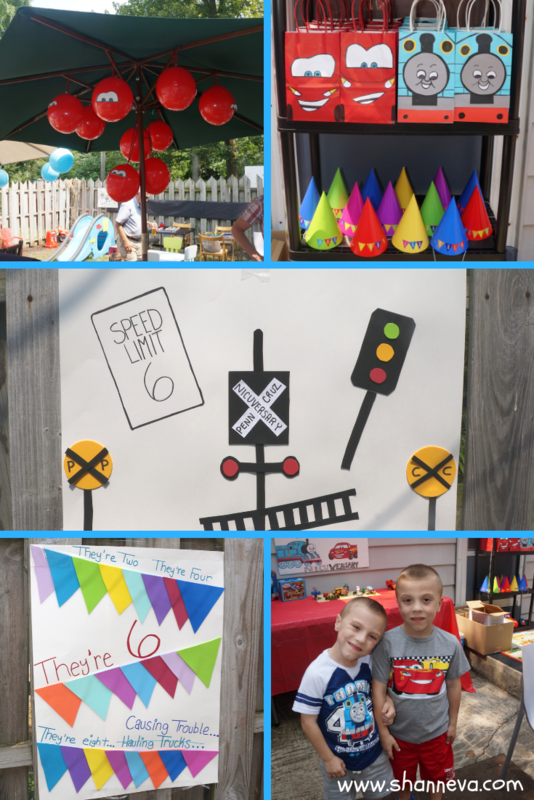 Such a cute, fun party for your boys! Love it! This is too cute! I really love the goodie bags! I have twin girls who are turning 5 this week. I usually do a theme, and this year is going to be all unicorns and My Little Pony. You are awesome for doing this. I’m sure it must be exhausting planning two themes but so worth it to see their smiles. I loved their favorite things too. So classic and you did it all so well. Kudos mama!